This week, we hosted a #hackingfinance breakfast with our partners Erevena. We held the power hour as part of the 2017 Innovate Finance Global Summit. 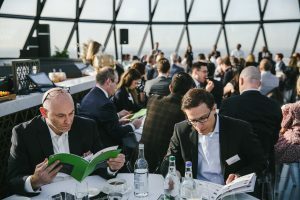 The discussion unpacked how financial services companies can establish trust and credibility, at a time where the concept of ‘fake news’ is encouraging skepticism and customer disloyalty to incumbents and new joiners alike. 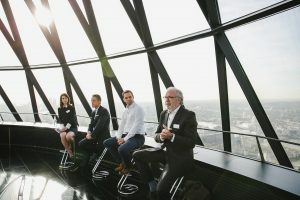 CNBC’s Nancy Hungerford served as moderator and was joined on stage by the newly appointed Anthemis Institute Board Chairman Stephen Howard, Wonga’s Non-Executive Director Simon Allen and former Nectar Managing Director Will Shuckburgh. Stephen opened with reminding the crowd that “trust arrives on foot and leaves on horseback”. The panel quickly noted that while banks are trusted to store money, customers lack confidence in their banks when it comes to advising them on how to manage their money. 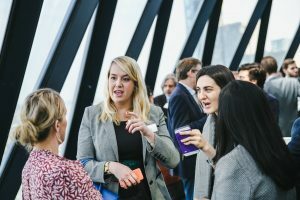 While a myriad of reasons contributed to this, the audience resonated with the observation that companies are increasingly measured by how people feel about them and not exclusively by the services they provide. Because of that, businesses need to weigh how they address customer satisfaction alongside how they manage their bottom line as both are important for retaining business. The panel concurred that paying lip service to brand building proves costly in an era where the media has so much power to manipulate customer emotions. 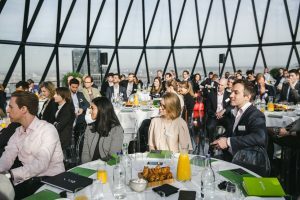 Attendees in the room flagged how emotive reporting adversely affected a particular company, until the media deemed it credible enough to report from a factual standpoint – thus bringing back customer acquisition to the positive side of the scale. The panel also addressed the issue of security and trust in an era of big data attacks. It was clear from the room that information security breaches reflect failures on the behalf of institutions, prompting a call for service providers to be more robust in securing customer data. For more information on #hackingfinance Breakfasts, sign up for the #hackingfinance mailing list.